Choose RiverStone Resort as the site for your special day and enjoy one of the most naturally scenic and rust wedding venues in Pigeon Forge. The resort’s location near the majestic Smoky Mountains, incredible full-service catering, experienced event planners, and spacious ballroom set the scene for a timeless wedding ceremony and reception. With the advice of our friendly event planning staff and flexible wedding packages, you can tailor your wedding to be everything you want and more. 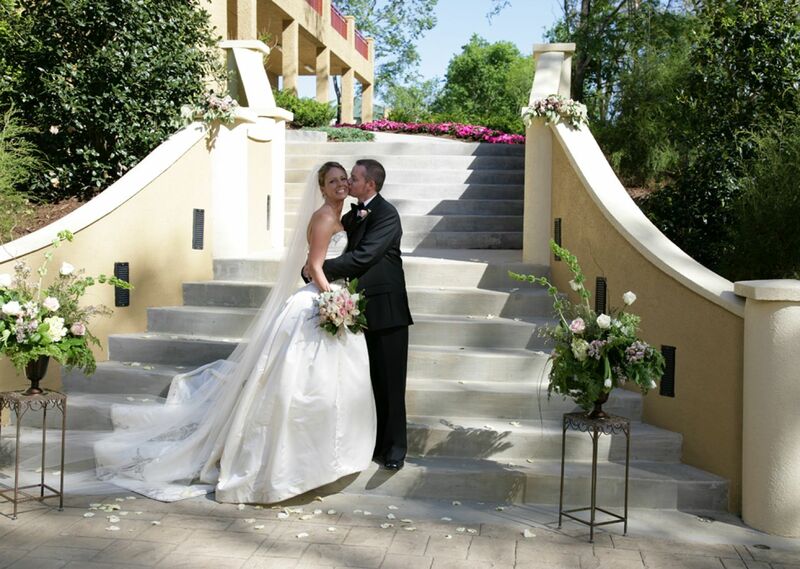 Choose from our indoor or outdoor wedding spaces, each offering elegant surroundings and a serene aura. Our experienced wedding planning team are here to ensure your wedding day is full of lasting memories, seamlessly and simply handling the details so you don't have to. Personalized professional wedding and event services at RiverStone Resort include catering, audio/visual equipment setup, ballroom, and patio setup and decorating. 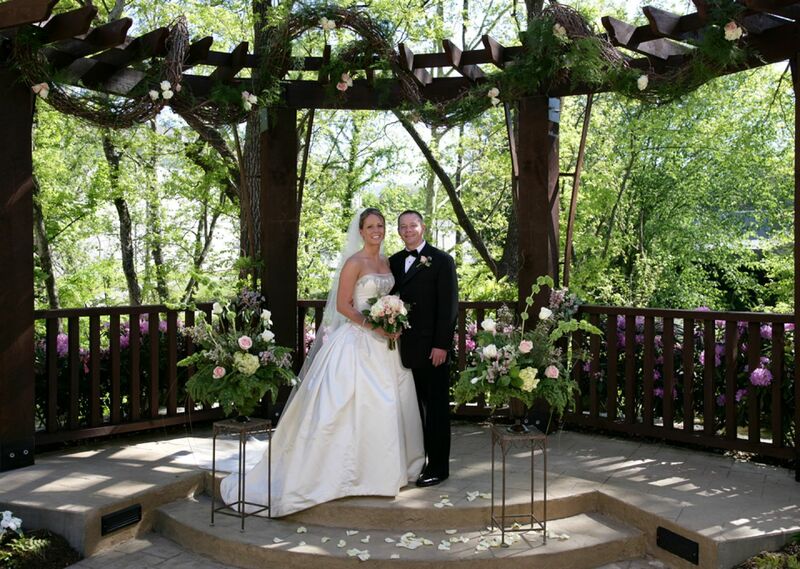 We can also make arrangements for chapel weddings through Chapel at the Park in Gatlinburg, TN. 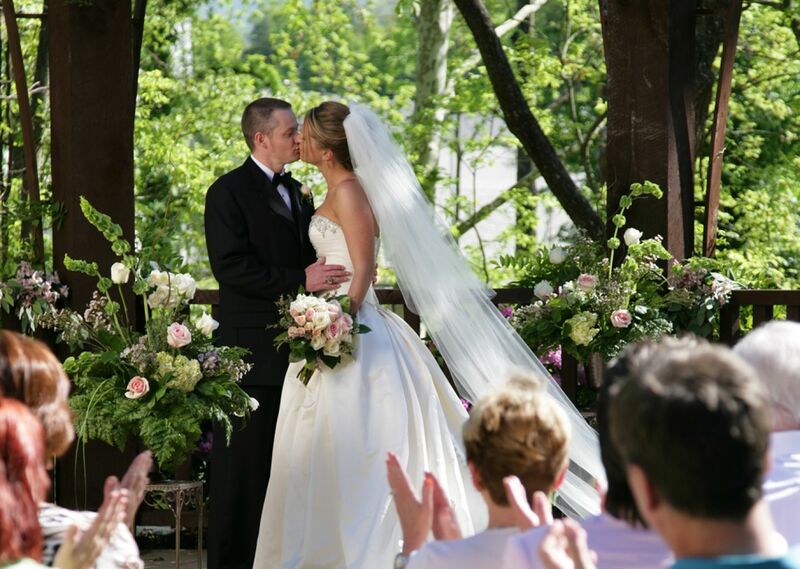 You can hold your ceremony at the Gatlinburg wedding chapel before returning to our elegant outdoor wedding patio to celebrate with friends and family. To begin planning your Pigeon Forge wedding or event, please submit an RFP/Inquiry.